Posted on June 01, 2012 at 10:03:47 am by Megan A.
Wednesday Nights are Free Movie Nights at Foellinger! With the end of the school year right around the corner, it’s time to start making fun family plans your kids will love! And who doesn’t love fun plans that are FREE? Posted on May 26, 2012 at 5:18:59 am by Megan A. 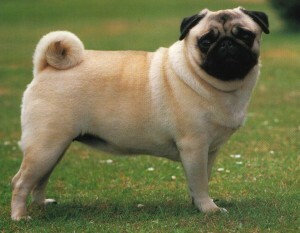 Do you have a Pug? Or are you a Pug or dog lover? If so, you do not want to miss Fort Wayne PUGfest on June 2 at the Memorial Coliseum! Posted on May 20, 2012 at 10:49:00 am by Megan A. Baseball and beer tasting—sounds like fun, right? Grab a group of friends and come out to one (or the next two!) of the TinCaps tastings this season! Posted on May 19, 2012 at 10:12:02 am by Megan A. 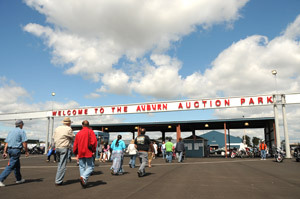 The annual Auburn Spring Collector Car Auction will be held June 1 – 3 at the Auburn Auction Park in Auburn, Indiana. Posted on May 16, 2012 at 10:47:02 am by Megan A. The historic Indiana Lincoln Highway Byway is one of the featured trails in the new 2012 Indiana Travel Map. The Lincoln Highway was the first named automobile road that crossed the United States of America from coast to coast. The Lincoln Highway was named an official state byway in 2011. Posted on May 12, 2012 at 5:40:21 am by Megan A. The 3rd Annual Northeast Indiana Playwright Festival will bring together modern day Shakespeares on Saturday, June 1-3 at the Arts United Center. Posted on May 07, 2012 at 12:48:57 pm by Megan A. Have a Movie Night in Fort Wayne! Posted on May 01, 2012 at 10:06:48 am by Megan A. FREE Hands on Fun for the Whole Family at the Salomon Farm Fiber Arts Celebration! Come to Salomon Farm Park and enjoy some FREE hands on fun with the whole family at the Fiber Arts Celebration! Posted on May 01, 2012 at 5:10:01 am by Megan A. The Fort Wayne Ballet Youth Company Family Series presents The Tales of Beatrix Potter on Saturday May 12 at 10:00 am and 11:30 am. The performance features performers in full animal costumes who interpret the stories of a young girl with an active imagination. Posted on April 20, 2012 at 10:16:18 am by Megan A. 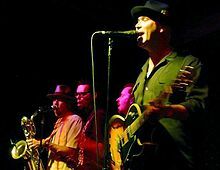 Big Bad Voodoo Daddy is one of the most popular touring swing bands on the road today and will be featured at the Embassy and the Fort Wayne Philharmonic on May 5 at 8:00 pm! Their high energy show boasts a full roundup of horns, guitars, keyboards and Zoot-suiting fun!